We hope your 2019 is off to an amazing start with plans to make this the best year ever. Two days ago I became a triathlete. All I had to do was swim 10 minutes in the Life Time pool (which I did very slowly), bike for 30 minutes, and run for 20 minutes, but this event got me closer to the bold goal I have of one day completing a full Iron Man (which encompasses a 2.4 mile swim, 112 mile bike ride, and 26.2 mile run). In line with personal and professional goals for 2019, the Ann Plans team is excited to introduce our word of the year: Bold! We have kicked off the year with several meetings focused on strategies for helping our clients’ events become bigger and better. Read on for inspiration in boldly moving forward with planning this year. Your organization is doing important work in the community. There’s no reason to be shy about that, and with all the competition for event attendance and revenue, you really can’t afford to be. How can you boldly position your event to grow attendance, revenue, and the buzz? We would love for your event to be one of the most anticipated and successful events in the community. Share your goals. Think big when setting goals, and don’t keep them a secret. For the Guthrie Theater’s June Gala, the fundraising goal is to net $1,000,000. This goal will be shared in pre-event marketing, including on the invitation. Build a team of heavy hitters. Focus on building a committee of well-connected champions of your organization. Get your Board of Directors, sponsors, and other key supporters excited about your plans early on. In early April, the University of Minnesota Foundation is hosting a reception for committee members, sponsors, and other major donors to share plans for the Red Heart Soiree in September, including ways these supporters can be involved in growing the event. Be brave in asking. Is there a local celebrity or business leader who would be the perfect fit for your event? What would be the ultimate package to feature on your live auction? Think big, and don’t be shy in extending invitations for people to be involved with your cause in an impactful way. 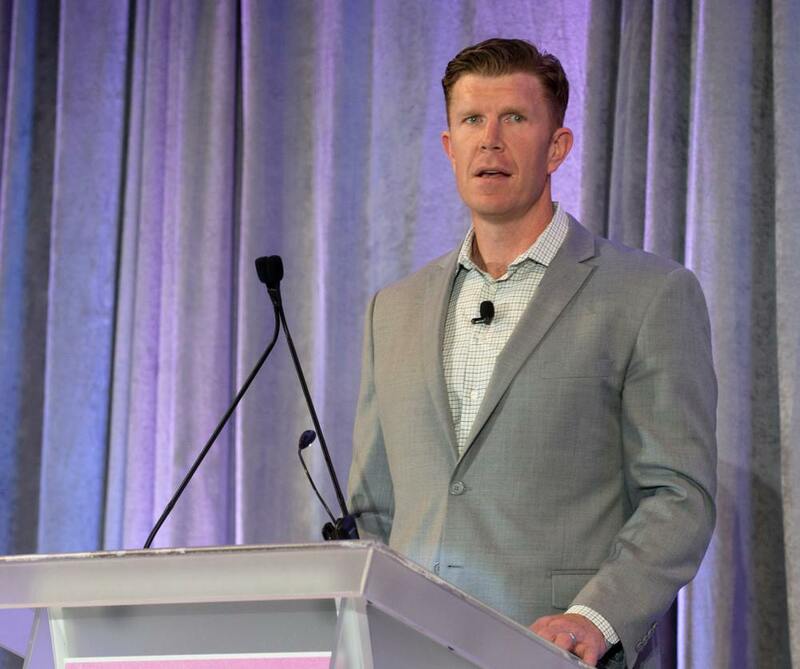 Matt Birk, Super Bowl Champion and former Minnesota Viking, was the perfect person to emcee Courage Kenny – St. Croix’s 2018 Encourage Breakfast given his celebrity-status and personal connection to the organization’s mission. Create a buzz! What can you incorporate in the guest experience that will surprise and delight your guests, and have them talking up your event? Think “unexpected,” “creative,” “fun,” and “mission-filled” when designing the guest experience. 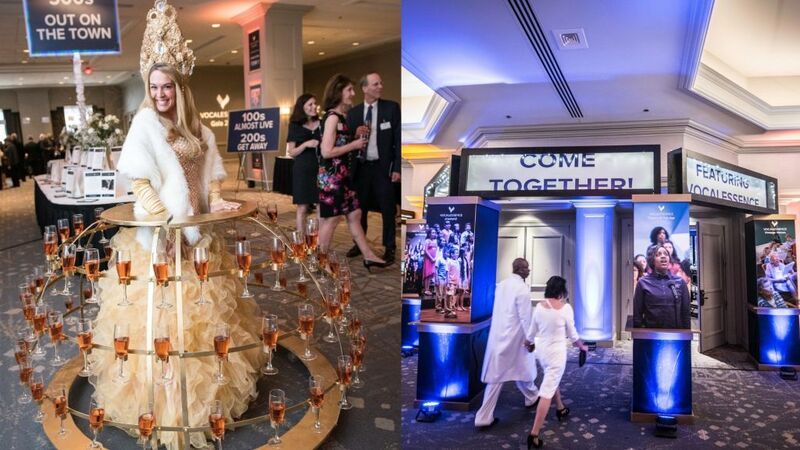 A champagne dress and custom marquee created a buzz at the VocalEssence Gala. Be bold with fundraising. One of the most effective ways to increase fundraising is to ask for more. If your top sponsorship level is $25,000, consider adding a $50,000 level. Invite each sponsor to consider supporting at a higher level than they’ve done in the past. If your fund-a-need giving typically starts at $10,000, work on finding a donor willing to commit at $25,000 and start your giving levels there. 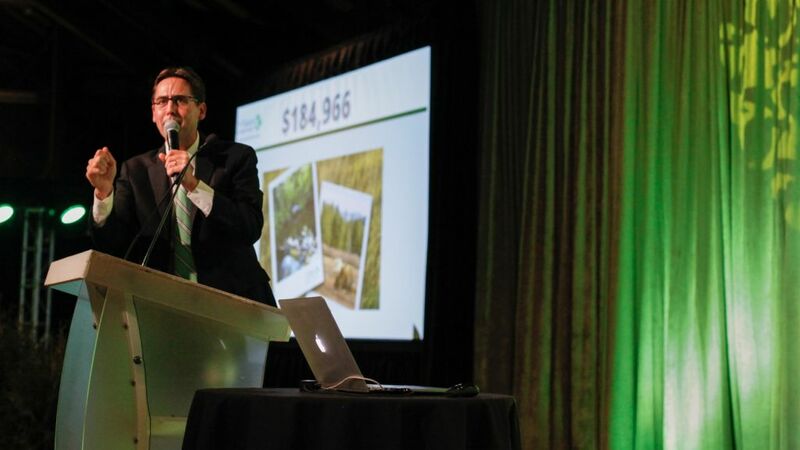 Auctioneer Glen Fladeboe facilitates fund-a-need giving at The Nature Conservancy’s Green Tie Affair. Have a big vision! Map out how you would like to see your event grow over the next three to five years, and share that vision with your key supporters. We are delighted to introduce the Minneapolis Area Association of Realtors as our newest client. The organization’s Gala at Aria on September 12 will support affordable and stable housing programs in our community. We invite you to make this a year of dreaming big and acting boldly. Here’s to a successful and happy 2019 with no regrets!